Two huge days celebrating the sweet love of sweet meats, Meatstock Melbourne is back with a capital B not only for BBQ, but for a weekend full of Butchers, Brisket, Burgers, Bourbon, live Bands and lots of craft Beer! 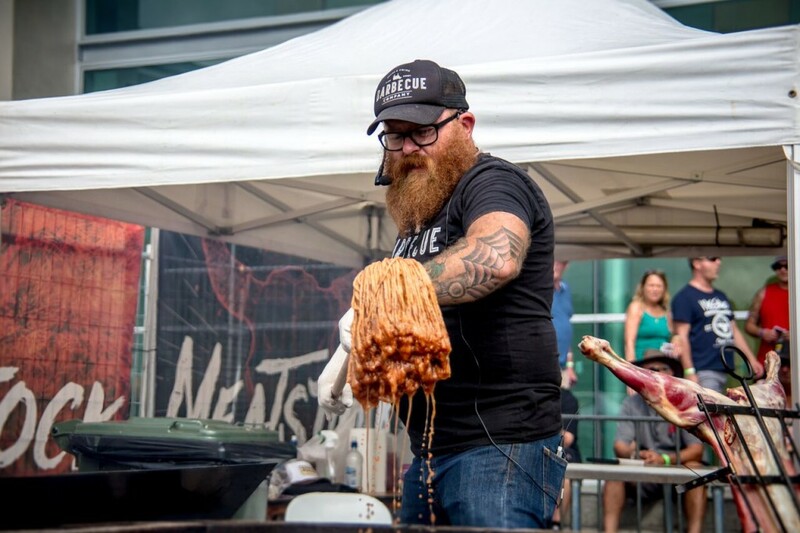 With a selection of barbeque themed food trucks, craft breweries and all of the condiments you could possibly want to add to your juicy meats, Meatstock Melbourne is one for not only the meat eaters, but the meat lovers. 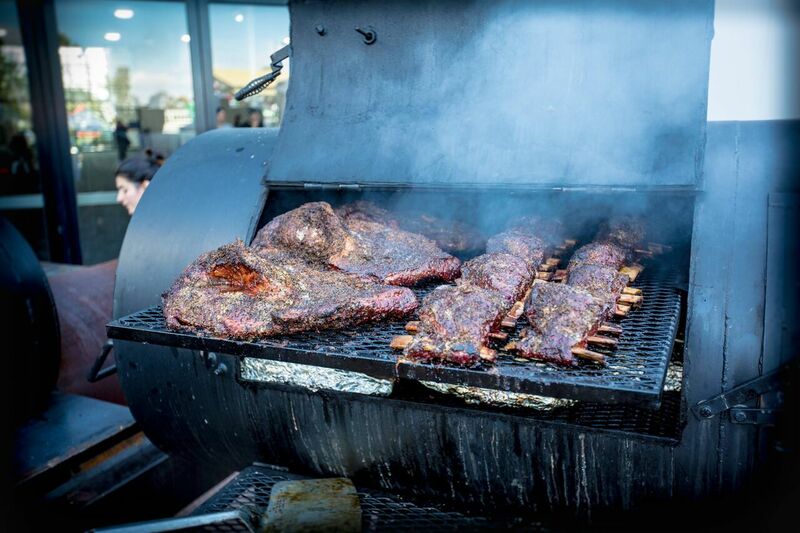 If you’re serious about learning how to prepare and cook your own barbeque galore, make sure to check out the impressive timetable of events throughout the two days of a variety of barbeque classes, demonstrations and workshops with special guest appearances by leading international smokin’ Pitmasters, Big Moe Cason and Hillbilly Wes. You can learn from Big Moe himself how to cook ‘low and slow’ Pork Shoulder, Brisket as well as getting first hand cooking tips for backyard and competition barbecue or watch teams battle it out to chop, smoke and grill for the chance to win the Melbourne Barbeque Wars, Melbourne Butcher Wars and Culley’s King of the Cue competition judging the nation’s best Burger, Wings, Steak and Bacon. 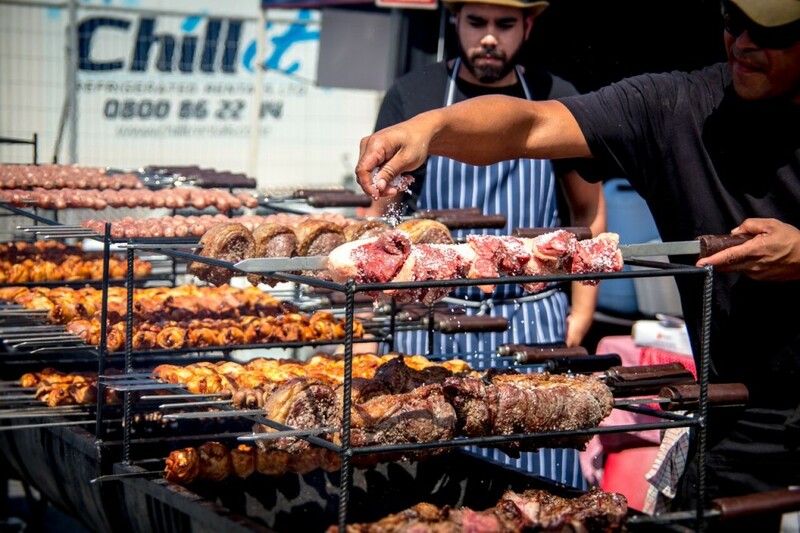 Serving up the meatiest beats and eats, Meatstock Melbourne music and barbeque festival is back for 2018 and the steaks have never been higher! Go nuts for donuts this weekend at the 2017 Donut and Beer Festival on this weekend! With more doughnuts than you poke a hole through, Donut Fest: Winter Edition will host every Melbourne made donut worth their glaze. 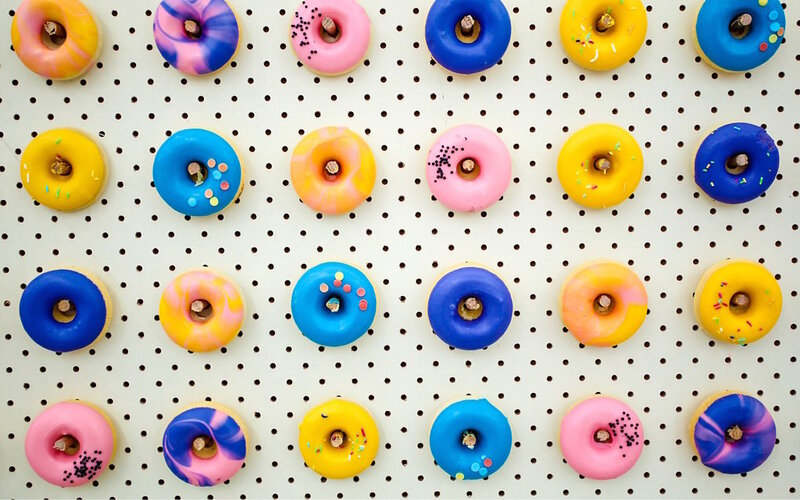 Make a day of your love for donuts with a walk through the donut art installations and get involved with the live music acts, donut eating competitions and see who came out on top to win the best donut awards! Accompany your donut feasting with an official donut-friendly caramel malt ale from local brewery Kooinda, or perhaps one of the signature cocktails from the on-sit ebar hosted by CBD laneway bar Manchuria. Kids under 12 years old also score free entry! 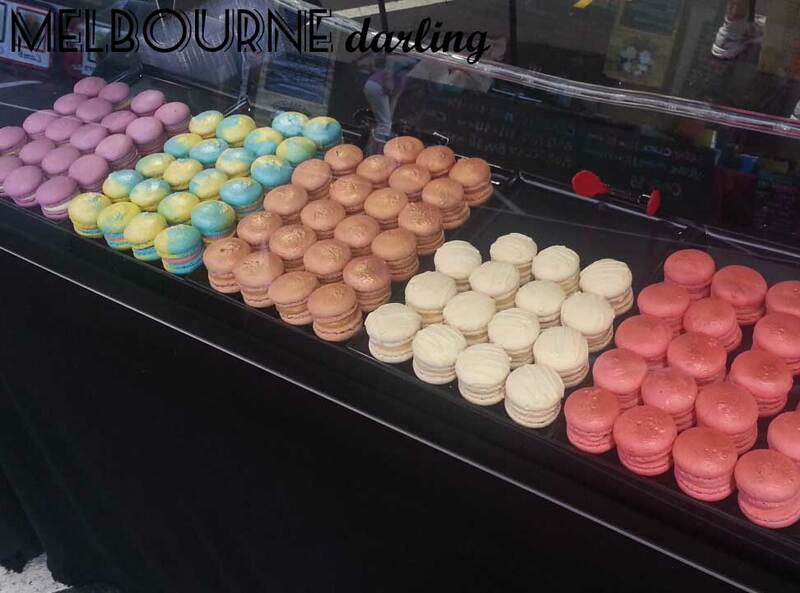 Get ready to be wined and dined by local producers as you sample and purchase fabulous local foodie finds and wines at the Spring edition of the Flavour Exchange Melbourne event on Thursday 3rd September and Friday 4th September at Federation Square. With each ticket, visitors will receive 14 tasting tokens to sample across the many exhibitors as well as a keepsake tasting glass. Sample from a multitude of the best Victorian producers with the additional opportunity to meet and buy direct from the source! Welcome the start of Spring at the Flavour Exchange and get your taste buds dancing with the freshest flavours created right from within our state of Victoria! If you happen to not be able to make the dates this weekend, keep an eye out for their next event in Summer! 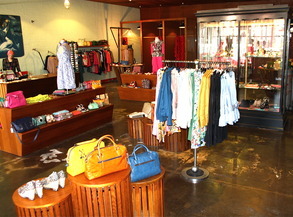 The beginning of a new year always makes me feel eager to inject some freshness into my wardrobe! 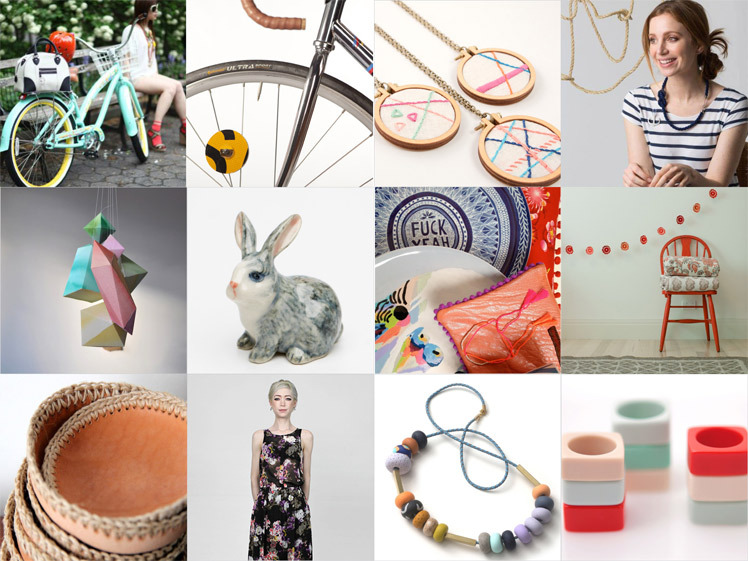 If your wardrobe is in need of some stylish new additions but the repetitive offering of high street stores and Boxing Day sales have left you feeling uninspired, than you’re going to want to head down to the Kooky Kraft Klub Fashion Bazaar! 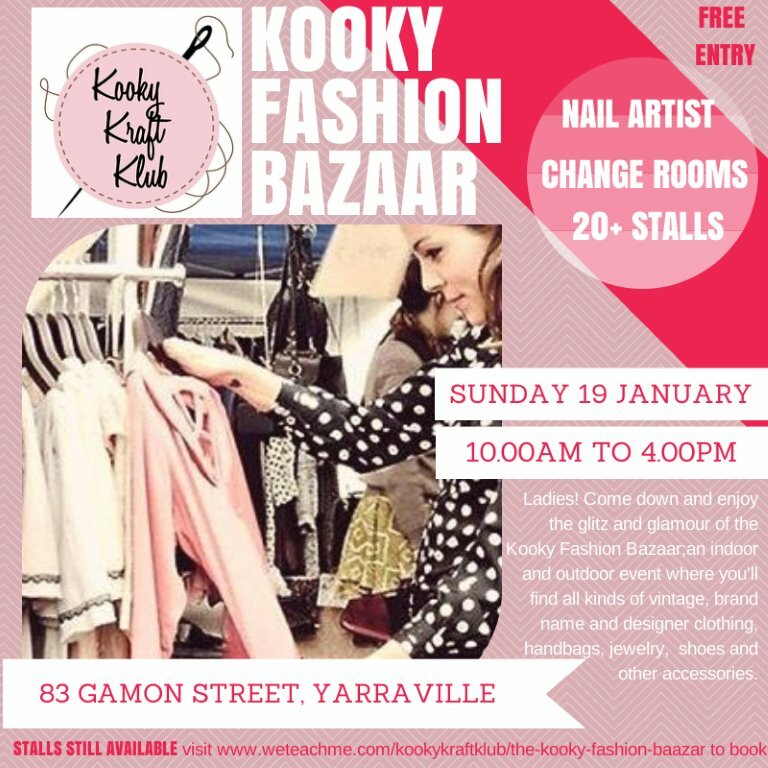 On Saturday 19th January, the Kooky Kraft Klub in Yarraville will be transformed into an impressive fashion marketplace to help you kick off the new year with some unique fashion finds! At this one day only event, you can discover a fantastic array of stalls selling quality second-hand, designer, brand name and vintage treasures including women’s clothing, shoes, jewellery and accessories. The event is free entry and stalls are cash only. Changing rooms are available onsite as well as a nail artist who will be available for bookings on the day! RSVP to this event on Facebook here! 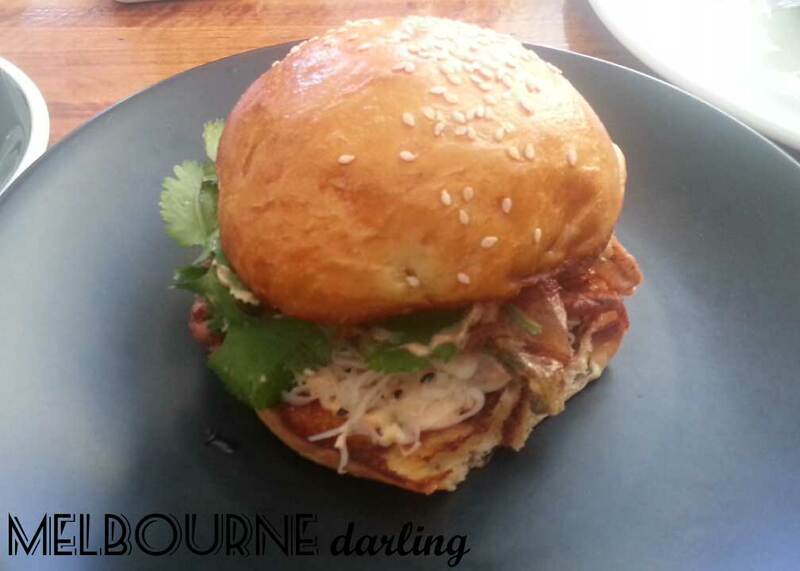 Last week I reviewed Hammer and Tong and their ever popular contribution to Melbourne’s gourmet burger scene with the Soft Shell Crab Burger. 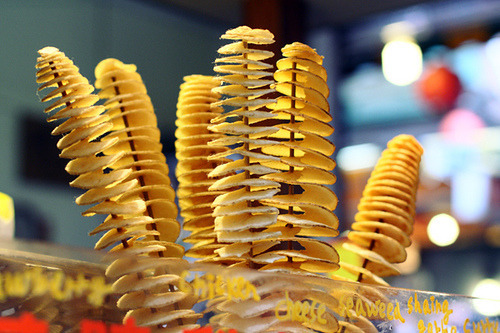 Well firstly, I advise you make the first thing you do when you arrive at the Night Market is to pinch yourself a table early, while you still can. I find the Night Market only gets busier and busier each year and the later the night gets, the increasing number of people flock to the dining areas and begin their hunt for a seat. So before you go exploring the market stalls, I suggest you find a table with your group first and eat early in the evening. 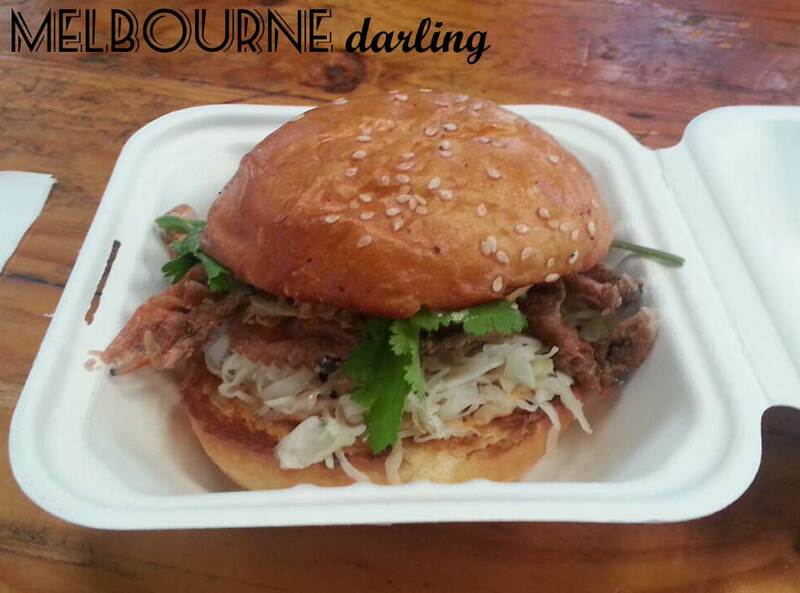 That being said, if you were looking forward to trying the Soft Shell Crab Burger for yourself, the Wednesday Night Market is a great opportunity to do so. Hammer and Tong’s market stall is especially dedicated to pumping out those delicious burgers all night, so you’re getting the same delicious meal as you would if you were to order it in their restaurant, but for a few dollars cheaper too! Among the sea of regular market stalls at the Queen Victoria Night Market – cheap sunglasses, handmade soaps, band t-shirts and jewellery - coconut watches anyone? This year it was refreshing to see the addition of the ‘Vintage Hub‘. 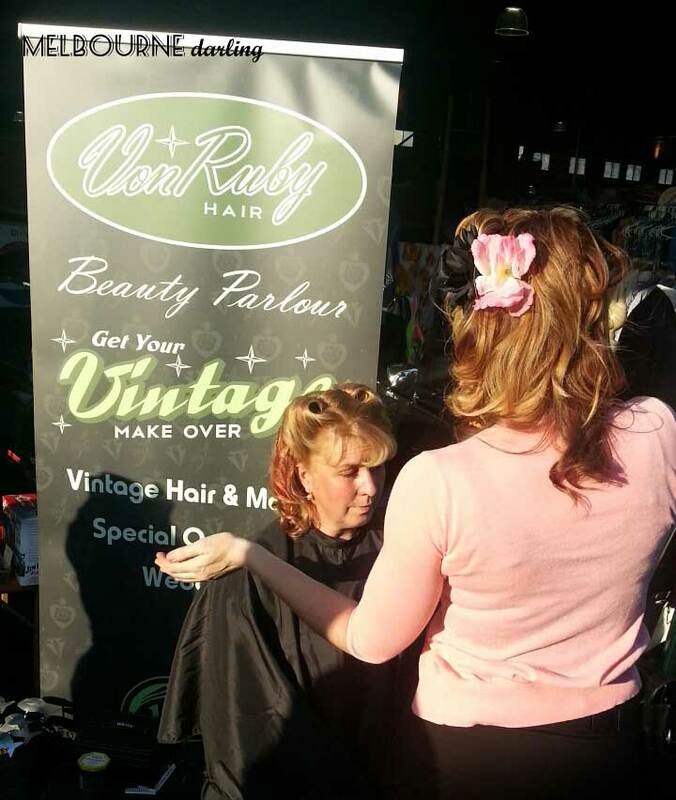 Hosted by Vintage Garage, The Vintage Hub is a cluster of stalls selling an assortment of all things vintage from pre-loved and reworked clothing to retro homewares. Check out Grandma-Funk for her one-of-a-kind collection of vintage European leather patch jumpers and Vonruby for a gorgeous Vintage hairdo and makeover. Your perfect summer evenings at the Wednesday Night Market are made complete with festive tunes hosted by Multicultural Arts Victoria. Each week features a selection of the diverse mix of performers. From my experience, some bands are extremely funky and engaging and will invite the crowd to get up and dance. 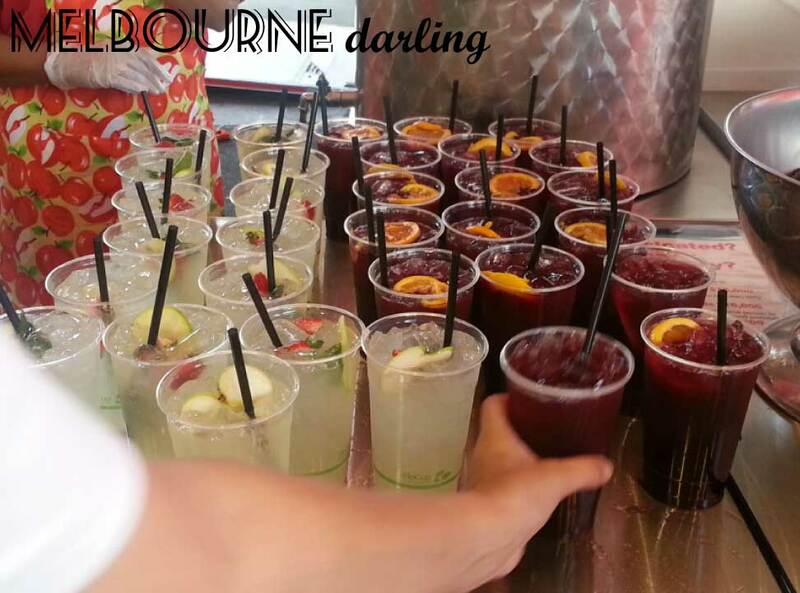 A couple of sangria’s later and you may just be more than eager to get up and join them! You can view the full program of gigs for the 2013-2014 season here. I cannot believe it is October already! Not to scare you but there is 11 weeks until Christmas, 13 weeks until we are officially in 2014, not to mention that we are already one month into Spring! So if you thought September was a busy month, get ready darlings, because October is going to be jam-packed with fun! October is officially National Breast Cancer Awareness month, and what better way to show your support then to host your very own ‘Girls Night In’ this October! Register your event via the Cancer Council Pink website and get your girlfriends together for a fun night while raising money for this worthy cause and don’t forget to Think Pink! Register to host your own Girls Night In online. Now that we are in the middle of Spring, there is no better time to spring clean your homes and wardrobes, and with the Garage Sale Trail you may even find yourself making some extra cash along the way. The Garage Sale Trail is a national event that organises individuals to hold Garage Sales on the same day around Australia, and this year, the day will be Saturday October 26th. With three weeks away, why not register yourself to host a garage sale, it could be the motivation you need to finally get around to de-cluttering your home! Register to host your own Garage Sale for Saturday October 26th online. Set your sights on Italy this October, even if it is only for the duration of one of the diverse range of movies the Lavazza Italian Film Festival is presenting this month. It certainly is one event that will make you fall in love with all things Italian and from the collection of films on offer this year, there looks to be something for everyone. There are a selection of dramas or for something a little different go for The Worst Week of My Life for some laughs, The Lithium Conspiracy for a captivating thriller, The Human Cargo for an eye opening documentary. Alternatively if you can’t make up your mind or are up for any genre, it’s hard to go wrong with their opening night pick The Great Beauty which featured at Cannes. 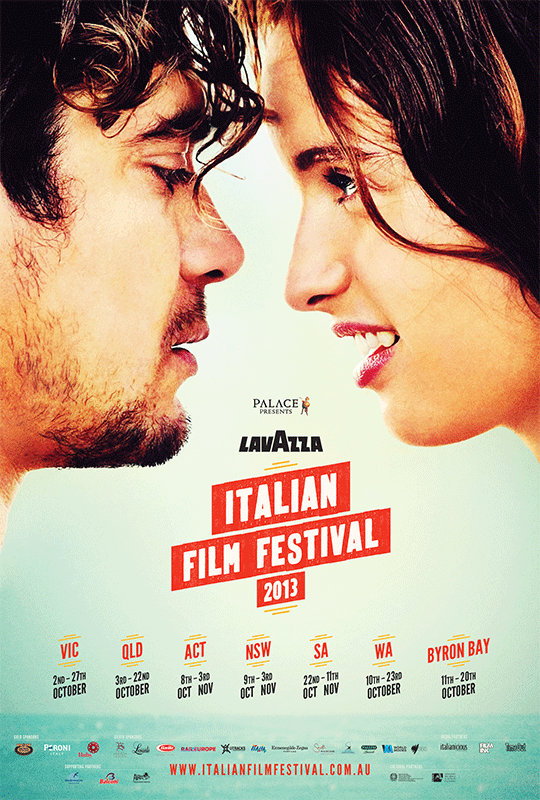 To enhance you’re Italian experience with an Italian dinner before your movie session, if you are attending a movie session at Palace Westgarth, I can recommend Umberto Espresso Bar in High Street Thornbury for an authentic Italian dinner or Pizza Miene Liebe for fantastic pizza close by. Alternatively if you are wandering into the city to Kino Cinema, you can’t go past Pellegrini’s for a comforting Italian dish, The European for something a little more fancy and a romantic atmosphere or +39 Pizzeria for tasty pizza. For more information, head to the official website. 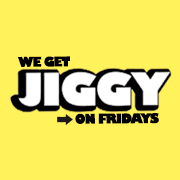 Honestly, even with a little help from Urban Dictionary, I’m still a little confused by what exactly it means to ‘get jiggy with it’… but what I can tell you is that Sugar Nightclub make it very clear they know how to get down like Will Smith and ‘get Jiggy on Fridays’ with their new Hip Hop & RnB night. ‘Jiggy’ on Friday nights celebrates its opening night tonight, Friday 4thJonn Hart October. The new regular Friday event guarantees to be playing a mix of new and old school RNB and Hip Hop favourites every week from 9pm. Attendees of the launch party tonight are also promised a performance by rapper Jonn Hart of Who Booty’. If you and your guurls love a bit of booty popping than this looks like a fun new place to twerk dance the night away. Entry Fee: $2 entry fee, children under 12 enter free. For more information, refer to their website or event page on Facebook. If you are like me, you love Kinki Gerlinki but may find that your wallet sometimes finds it difficult to keep up with your frequent moments of lusting over yet another colourful patterned print dress or pom pom and petal embellished accessory. The good news is that the Kinki Gerlinki Garage Sales are unmissable events for lovers of all things Kinki… Gerlinki that is! A great opportunity to revisit the items of your affection or maybe even discover some new lust-worthy pieces at bargain prices. You can find more information on their Facebook event page. You heard right. 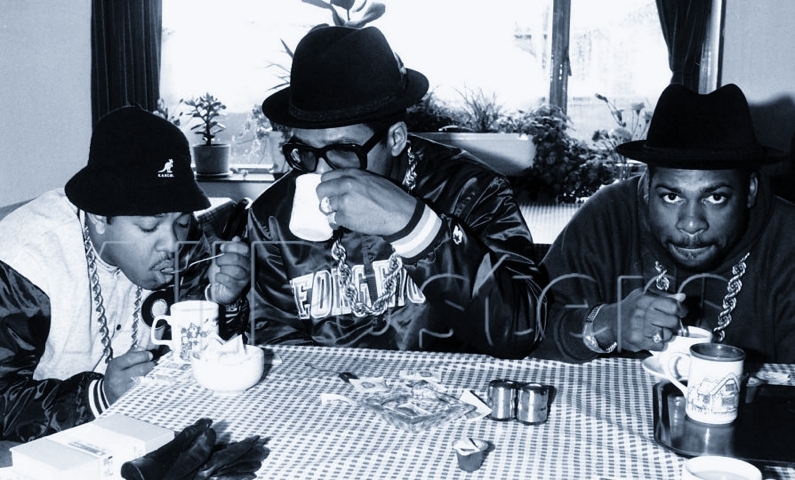 Grab your shorty and head on down to sip T like a G! Celebrating all things East Side, this Hip Hop High Tea follows on from their sell-out first event, so get your bookings in quick! Offering ‘dope eats, teas and beats’ dine on a selection of Japanese tapas while listening to some great Hip Hop and Soul tunes with an Eastside influence as well as live Hip Hop performances. Have a listen to their soundcloud ‘teatape’ to get that vibe ready. Bookings $30 plus booking fee. Mecca Maxima Nail Bar - It’s a funky phelangies free-for all! Spring Is In The Air – This vintage fashion exhibition will transport you through time with fashion through the ages. Review’s Spring 2013 Runway Show – Review’s free runwayshow is going to leave you daydreaming about which of their floral, flirty and feminine pieces will be your perfect outfit for the upcoming party season. Levi’s® Revel Fit Safari - Finding the perfect pair of jeans can be a nightmare, but this personalised fitting service should have you find your perfect fit in no time. MSFW runs from August 31st to September 8th, 2013. For more information and a full listing of events, visit the official Melbourne Spring Fashion Week website.